AMD today announced the AMD Radeon Instinct MI60 and MI50 accelerators, the world’s first 7nm datacenter GPUs, designed to deliver the compute performance required for next-generation deep learning, HPC, cloud computing and rendering applications. Researchers, scientists and developers will use AMD Radeon Instinct accelerators to solve tough and interesting challenges, including large-scale simulations, climate change, computational biology, disease prevention and more. The AMD Radeon Instinct MI60 and MI50 accelerators feature flexible mixed-precision capabilities, powered by high-performance compute units that expand the types of workloads these accelerators can address, including a range of HPC and deep learning applications. The new AMD Radeon Instinct MI60 and MI50 accelerators were designed to efficiently process workloads such as rapidly training complex neural networks, delivering higher levels of floating-point performance, greater efficiencies and new features for datacenter and departmental deployments. The AMD Radeon Instinct MI60 and MI50 accelerators provide ultra-fast floating-point performance and hyper-fast HBM2 (second-generation High-Bandwidth Memory) with up to 1 TB/s memory bandwidth speeds. They are also the first GPUs capable of supporting next-generation PCIe 4.02 interconnect, which is up to 2X faster than other x86 CPU-to-GPU interconnect technologies, and feature AMD Infinity Fabric Link GPU interconnect technology that enables GPU-to-GPU communications that are up to 6X faster than PCIe Gen 3 interconnect speeds. AMD also announced a new version of the ROCm open software platform for accelerated computing that supports the architectural features of the new accelerators, including optimized deep learning operations (DLOPS) and the AMD Infinity Fabric Link GPU interconnect technology. Designed for scale, ROCm allows customers to deploy high-performance, energy-efficient heterogeneous computing systems in an open environment. Optimized Deep Learning Operations: Provides flexible mixed-precision FP16, FP32 and INT4/INT8 capabilities to meet growing demand for dynamic and ever-changing workloads, from training complex neural networks to running inference against those trained networks. World’s Fastest Double Precision PCIe 2 Accelerator5: The AMD Radeon Instinct MI60 is the world’s fastest double precision PCIe 4.0 capable accelerator, delivering up to 7.4 TFLOPS peak FP64 performance5 allowing scientists and researchers to more efficiently process HPC applications across a range of industries including life sciences, energy, finance, automotive, aerospace, academics, government, defense and more. The AMD Radeon Instinct MI50 delivers up to 6.7 TFLOPS FP64 peak performance1, while providing an efficient, cost-effective solution for a variety of deep learning workloads, as well as enabling high reuse in Virtual Desktop Infrastructure (VDI), Desktop-as-a-Service (DaaS) and cloud environments. 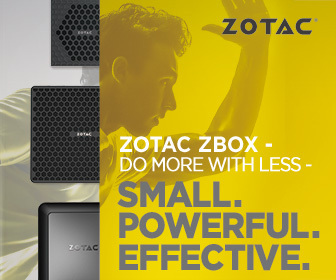 Up to 6X Faster Data Transfer: Two Infinity Fabric Links per GPU deliver up to 200 GB/s of peer-to-peer bandwidth – up to 6X faster than PCIe 3.0 alone4 – and enable the connection of up to 4 GPUs in a hive ring configuration (2 hives in 8 GPU servers). Ultra-Fast HBM2 Memory: The AMD Radeon Instinct MI60 provides 32GB of HBM2 Error-correcting code (ECC) memory6, and the Radeon Instinct MI50 provides 16GB of HBM2 ECC memory. Both GPUs provide full-chip ECC and Reliability, Accessibility and Serviceability (RAS)7 technologies, which are critical to deliver more accurate compute results for large-scale HPC deployments. Secure Virtualized Workload Support: AMD MxGPU Technology, the industry’s only hardware-based GPU virtualization solution, which is based on the industry-standard SR-IOV (Single Root I/O Virtualization) technology, makes it difficult for hackers to attack at the hardware level, helping provide security for virtualized cloud deployments. AMD today also announced a new version of its ROCm open software platform designed to speed development of high-performance, energy-efficient heterogeneous computing systems. In addition to support for the new Radeon Instinct accelerators, ROCm software version 2.0 provides updated math libraries for the new DLOPS; support for 64-bit Linux operating systems including CentOS, RHEL and Ubuntu; optimizations of existing components; and support for the latest versions of the most popular deep learning frameworks, including TensorFlow 1.11, PyTorch (Caffe) and others. Learn more about ROCm 2.0 software here. The AMD Radeon Instinct MI60 accelerator is expected to ship to datacenter customers by the end of 2018. The AMD Radeon Instinct MI50 accelerator is expected to begin shipping to data center customers by the end of Q1 2019. The ROCm 2.0 open software platform is expected to be available by the end of 2018.